Radiofrequency is a non invasive and painless technique to fight skin aging and to improve the quality of face and body skin. It lessens the main imperfections, such as wrinkles and laxity. It also treats the imperfections due to cellulite. 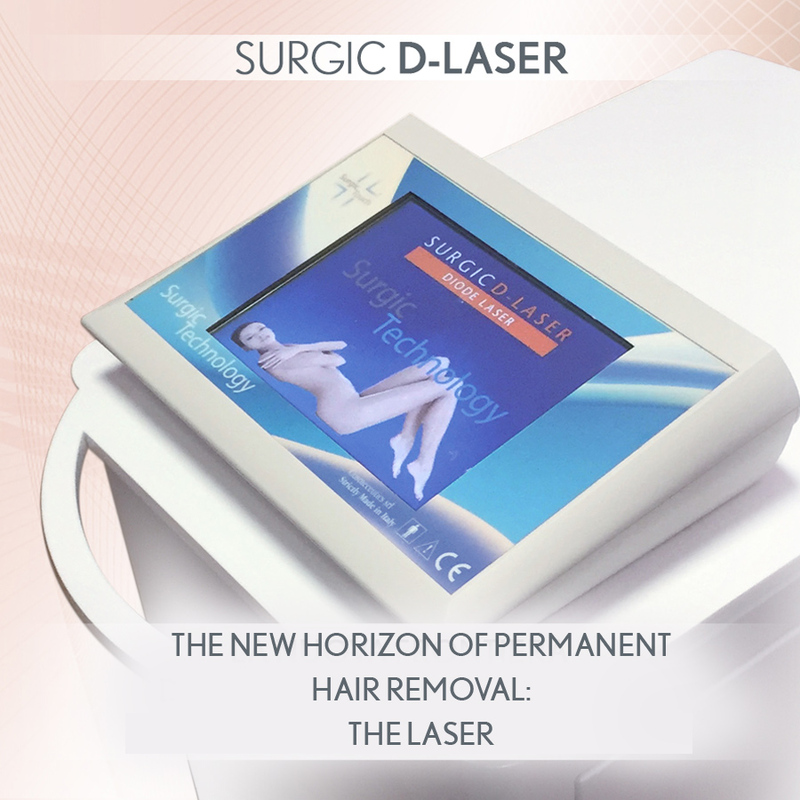 Radiofrequency results are visible and long lasting, starting from the first appointments. 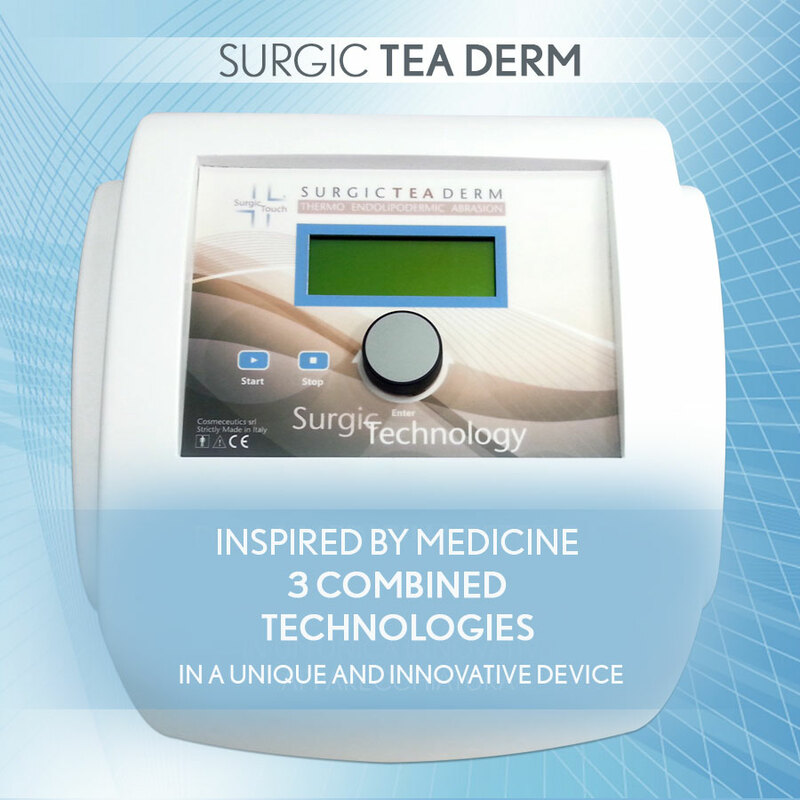 This technology is a real energy wave for our body and skin, from the most superficial to the deepest layers, it activates the natural repairing and anti-inflammatory mechanisms. Radiofrequency improves the homogeneous endogenous hyperemia on the different levels of the treated areas. Blood recall and the activation of the lymphatic system stimulate fat cells to release toxins and fluids in excess, restoring the right natural balance. The electro-magnetic waves of radiofrequency improve the activity of the sodium-potassium pump in the fibroblast membrane, naturally stimulating the production of new collagen and elastin. Lifting Effect: due to collagen contraction in different levels, the heating acts on collagen, causing its denaturalization: up to 30% of the fibers gets shorter and becomes swollen, reshaping the treated area. Cellular oxygenation: low radiofrequency power already leads to an improvement of oxygenation, due to the increase in metabolism, thus improving microcirculation efficiency. Draining: thanks to the increased vascularization effect, obtained with high powerful radiofrequency, a visible improvement of water retention is possible and can be preserved thanks to the balance in the cellular membrane. Slimming: the bio-stimulation of adipocytes, exploiting the draining and oxygenating effect of the radiofrequency, affects and reduces both the localized and wide fat deposits. We suggest cycles of at least 8 appointments in order to optimize the results. Firming tissues and muscles: this effect is visible, starting from the first appointment. On thin skin types, results are even more tangible than on thick ones, but it must be taking into account that the improvement goes on even after the appointment and during the next days. 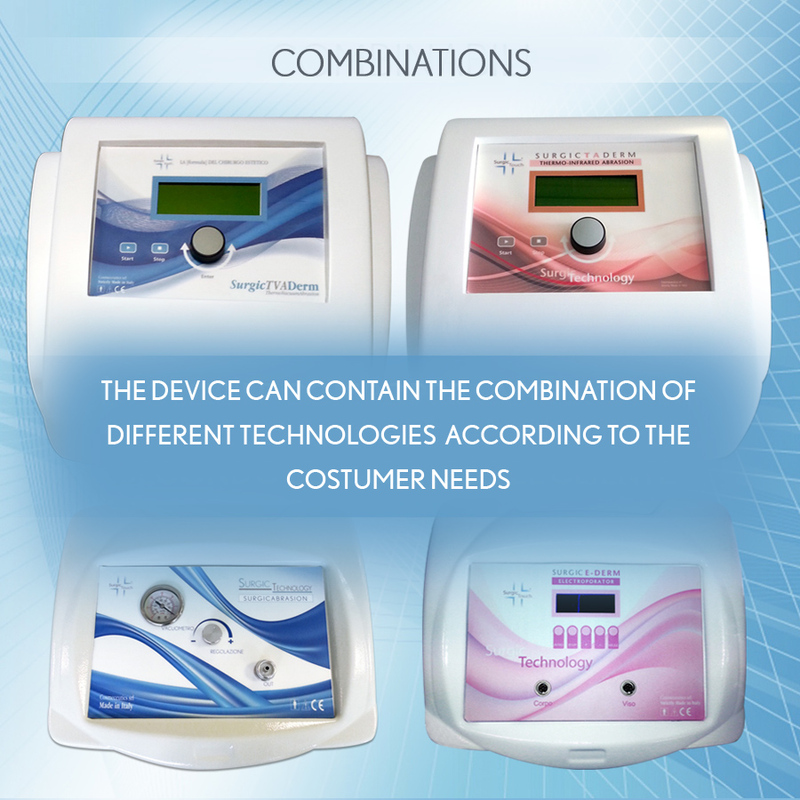 The radiofrequency user should plan the right program for the client and its skin type. 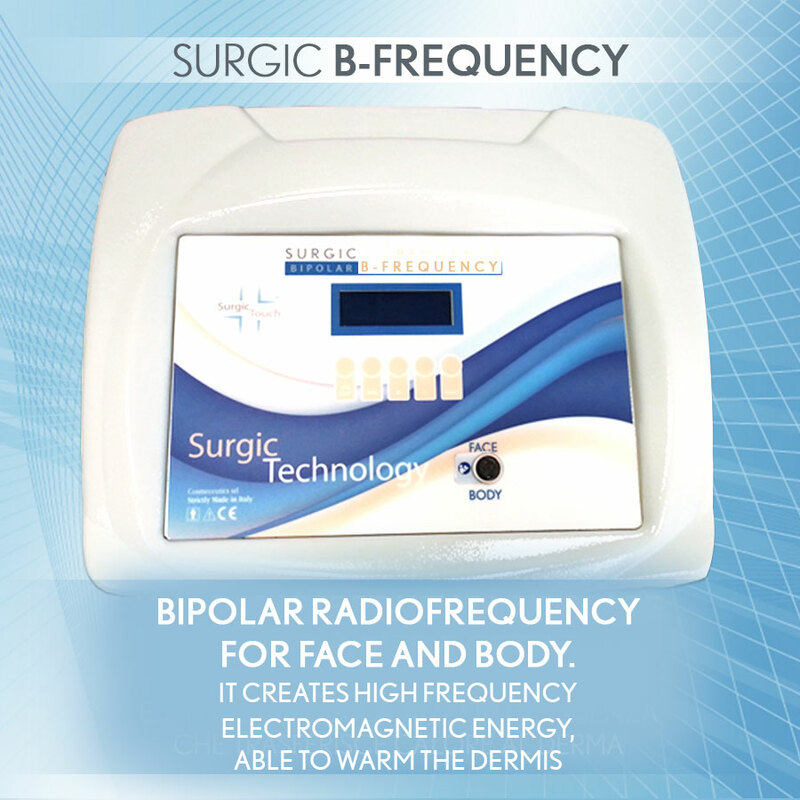 Radiofrequency causes heat: thus increasing blood; this stimulates the repairing processes of the tissue, supporting the organic substrate, the increase in capillary pressure, in cellular membrane permeability, in local metabolism, the change in sensory nerve conduction. Radiofrequency allows a better oxygenation of the tissues and an overall improvement of lymphatic circulation. Lifting Effect for face, neck and décolleté. Thanks to the dual transmission of the energy, the first molecules to be reached are the superficial ones, causing the denaturation of collagen proteins, thus leading to their shrinking (lifting effect). 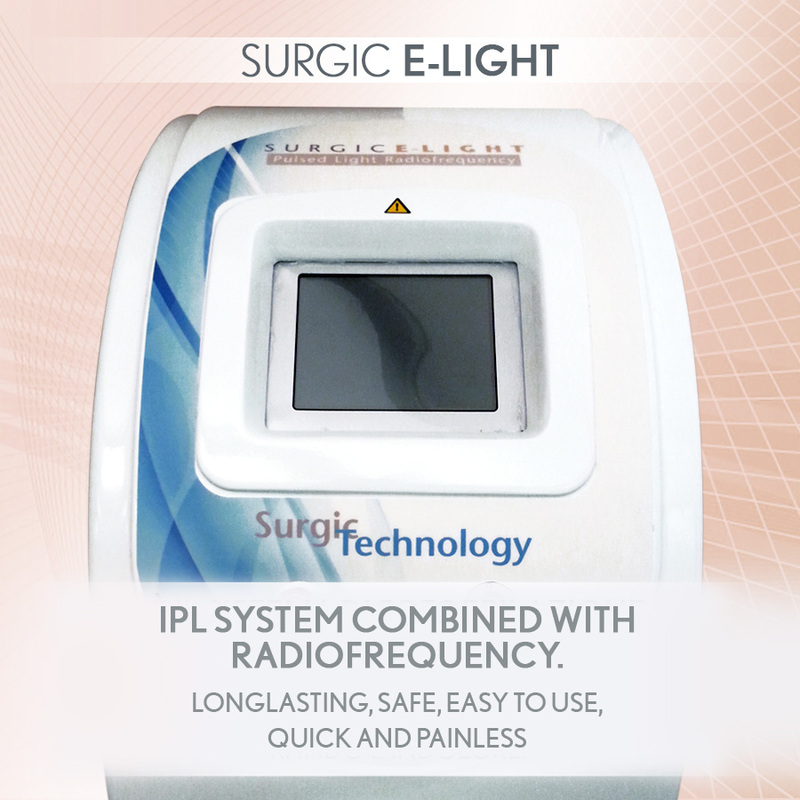 That is why the bi-polar radiofrequency gives a lifting effect, starting from the 1st appointment and it is particular suitable for the face. 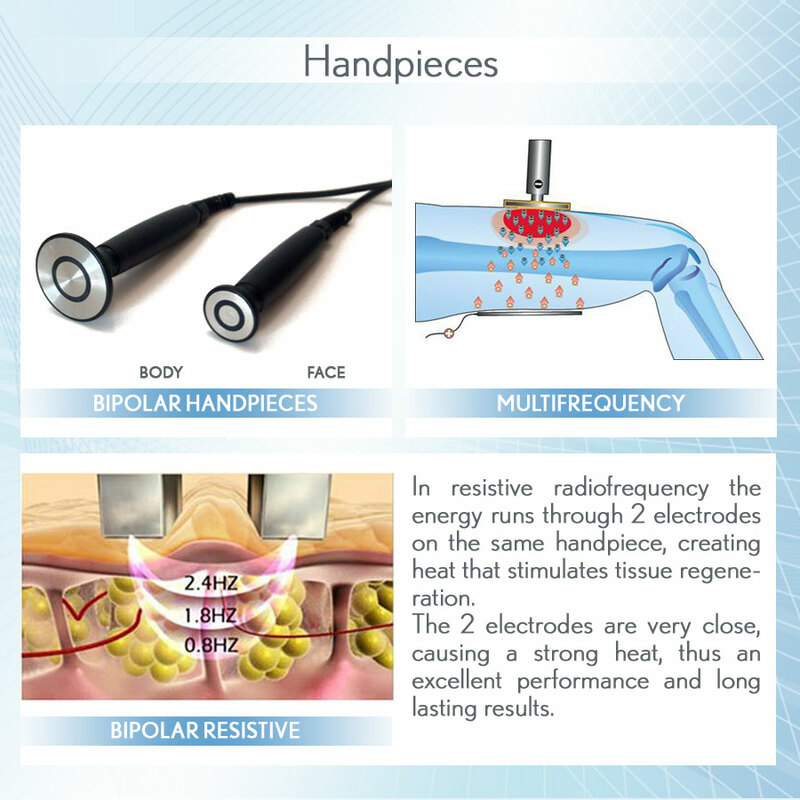 Only with the bipolar radiofrequency you can treat hands. Easy, non invasive and no interferences.